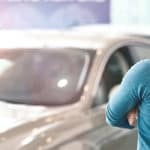 Dealing with subprime auto loans can seem confusing, as they often require additional legwork to get pushed through. That said, the benefit they offer those with damaged credit, like giving them access to the car they need and the ability to rebuild their credit, makes this more detailed process well worth it. Though subprime lenders have tighter approval processes, they do not have maximum loan amounts, per se. This all depends on your financial situation and the comfort level of the lender. But there are some things to keep in mind when considering a high-value subprime auto loan. Having damaged credit means you need to learn to financially walk before running. This also means choosing a vehicle that fits your budget, so you must first sort out how much car you can afford. 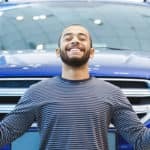 With this budget in place, focus more on cars that will fit within that instead of the priciest car subprime auto loans will allow you to buy. Remember, the key with a subprime loan and dealing with a company that specializes in matching customers with damaged credit to lenders is to focus on building credit. Getting a vehicle you can easily afford will help in this process. These will, of course, vary with each lender and your credit score. 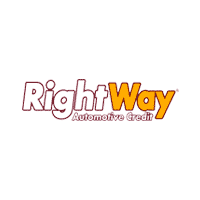 To find out if you qualify, you can stop by your local RightWay dealer or fill out an online application. 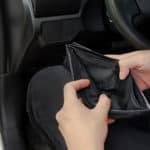 When applying for subprime loans, lenders generally look beyond just your credit score, as they want to see payment trends, what bills you currently have, what future expenses you may incur and your job situation. One thing that weighs heavily in getting approved for a subprime loan is your debt to income. Your DTI shows the how much of your income your monthly debts consume. For example, someone with $3,000 per month in income before taxes and $1,000 per month in debt payments, which includes rent, mortgage payments, credit card payments, lines of credit, personal loans, student loans and more, has a 33 percent DTI. 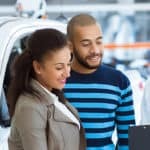 When the subprime lender looks at your DTI for approval purposes, it will add in the cost of the car payments and the estimated cost for insurance. If this pushes your DTI over 50 percent, a lender may disqualify you. Payment to income also plays a role in the approval process. This is the amount of your income the car payment and insurance will consume. The subprime lender will add the car payment to the car insurance estimate, then divide this by your monthly income before taxes. If the PTI is higher than 20 percent, some lenders may not approve you. Here at RightWay, we specialize in matching applicants in all types of financial situations with lenders. So, regardless of your situation, stop by so we can match you with a lender.